Hundreds of people turned out to mark Plymouth Pride 2016, held last weekend. This ever-growing event proved more popular than ever. A miserable drizzle could not dampen spirits as Lord Mayor Pauline Butler officially opened the event welcoming and thanking everybody for attending, before encouraging them to not be afraid or intimidated to be who they were. 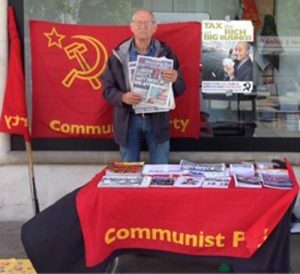 Members of South Devon Branch, Vincent, Ray and (non-party member) Penny ran a stall in the city centre, engaging with the public, selling pamphlets and the Morning Star. In addition to this, awareness of the CPB and the South Devon branch was raised along with some funds for the Morning Star. 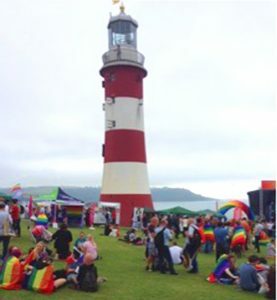 Be the first to comment on "South Devon Branch at Plymouth Pride"